Are you battling to bounce out of bed bright eyed and bushy tailed? Looking for more get-up-and-go to make it through 2012? Many of us may fall into the trap of not eating at all for long stretches of the day, breaking for high sugar, high fat snacks and then ending off with a really large supper. Clearly, this isn't the way to increase or sustain energy levels. In fact, eating habits like this will make the effects of a hectic lifestyle worse by decreasing energy, decreasing mental engagement, increasing irritability, increasing weight gain and may impair the functioning of your immune system. There's nothing worse than feeling drained. Some of us may make things worse by reaching for a strong coffee, unbalanced energy bar or a drink, but this is only a short-term fix as the effects soon wear off. Like myself, you likely would like energy that lasts all day, not just for an hour! Whenever your energy engine is running on fumes, try the following 8 energy boosting strategies for some high-octane juice. 1. Graze so not to gorge. Aim to eat light and eat often. Eat 4-6 small meals per day. Spacing out your meals and snacks will help regulate your blood glucose levels and help sustain your energy levels throughout the day. ‍2. Manage your portions. Overeating can do more harm to your energy levels than you may realize. Your body has to work hard to store excess food, so your energy levels may crash immediately following a large meal. Keep snacks to 500-750 kilojoules (150 calories) and meals to 1200-2000 kilojoules (360 calories). Reading food labels when you have the opportunity will help you become a kilojoule guru. ‍3. Fast food doesn't equal fast energy. Grabbing high fat, high sugar, refined foods made with low quality ingredients will increase your waistline, but not your energy levels. Most take away type meals are unbalanced as they lack adequate vegetables. In the category of "Things Your Mother Was Right About All Along," you really and truly should eat your vegetables. ‍4. Rethink your drink. Drink water. What's the only nutrient that has been shown to enhance performance for most activities! It's not some pricey sports drink. It's water. If your body is short on fluids, one of the first signs is flagging energy levels and possibly hungry with a headache too. Avoid drinking your kilojoules. Drinking kilojoules like the kind found in sugared cold drinks, fruit juices, flavoured coffees, iced teas, even flavoured waters and alcohol is the last thing you need when you're trying to lose weight and increase energy. Caffeine and alcohol may feel as if they are giving you a quick "pick-me-up," but in fact they can trigger fatigue by playing havoc with your blood sugar levels. ‍Low GI baked goodies: Slow releasing baked goods such as muffins, rusks and lower GI bread will help sustain your energy and help you get through to lunch without a grumbling stomach. Make sure that you stock up on these by either baking them yourself when you have time, over weekends perhaps. I generally keep a bag of low GI rusks close at hand and low GI muffins in the freezer for a really quick energy boost with my morning cup of tea. ‍Breakfast sandwich-to-go: This is a great idea that you can prepare in less than 10 minutes. Try making sandwiches the night before. It's not a lot of work to do, and it's better than dropping on the couch in front of the TV. The next morning all you'd have to do is open the fridge and grab breakfast. Ideally, use a lower GI higher fibre bread and fill up with some protein such as lean cold meat, low fat cheese, natural nut butters or boiled egg with a little low-fat mayonnaise. Jazz up your sandwich by adding pepperdews, sundried tomatoes, guerkins, mustard, capers or a little relish or sweet chili sauce. ‍Bircher-type muesli: Having oats is an awesome start to any day. All that soluble fibre fills you up and may even lower your cholesterol levels. To save time, I usually make a few batches of this recipe and keep it in the fridge for up to a week. For a single batch, mix the following together and refrigerate overnight: 5-7 tablespoons of raw oats, one-half to one cup fat free milk, one small grated apple, one tablespoon raisins or chopped dried apricots, one teaspoon sunflower seeds, and a few drops of vanilla essence and cinnamon to taste. 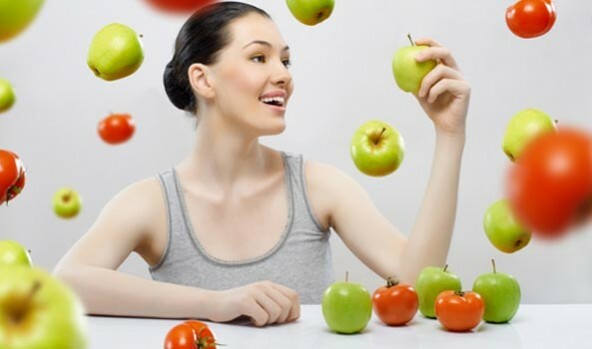 Ideally you should consult with a dietician to ensure you are supplementing appropriately. ‍7. Lack of exercise = lack of energy. Move around as the more active you are, the better your circulation will be. Big deal? You bet! When your heart and lungs work more efficiently, they deliver oxygen rich blood and nutrients to your tissues so you'll have more energy to do the work you need to. Movement positively impacts every system of your body. Lack of movement causes the body to "switch off" non-essential functions to conserve energy and impairs blood circulation. Movement is one of the most powerful stimulators of energy to the body. Try to not sit still for longer than 30 minutes. Even just a few basic stretches or going for a short walk will increase your energy. If you have a desk job, get up throughout the day to give your body breaks from activities such as typing and staring at the computer. Also, stand up when you're on the phone or pace around the office. When you're stuck seated, like on a long car ride, do neck rolls, shoulder shrugs and sit upright with your belly button pulled in towards your spine. ‍8. Breathe more! Sometimes the smallest things come with the biggest benefits. Breathing deeply is one of them. Breathe in through your nostrils and fill your belly with air, hold your breath for a few seconds and then gently exhale. Try the 4-7-8 technique. Inhale deeply through your nose for a count of four, hold your breath for a count of seven, and exhale through your mouth for a count of eight. Repeat as often as needed. If these strategies don't work and you're consistently fatigued or rundown, consult your doctor. Sometimes fatigue is a sign of an underlying medical condition, such as hypothyroidism or anemia. Unless you have an underlying illness, no pill or so-called energy booster you see on store shelves can put the spring back in your step. If you make certain lifestyle changes such as those mentioned above, you can go a long way toward improving your mood, energy, and overall health. Making changes may not seem easy when you're already feeling overburdened and strapped for time, but the irony is that if you invest some time in adopting these simple strategies, you will likely wind up with more energy, a return that enables you to accomplish more in your day!